So, we went to this graveyard to visit graves of our forefathers. After fateha, we found a Gorkanand hired him for cleaning and repairing graves. This guy was old in his early fifties and was talking unstoppably counting things that he can do and things he will do. “Beta aj tum apne buzurgoo’n ki Qabroon ko nahee dekho ge tu kal koi tumhari Qabroo’n ko bhee nahee dekhay ga” he said and rightly so. We have to arrange this privately because the government priorities have not reached this point to clean last resting place of their citizens. When I went back the other day to checkout the progress of maintenance works; this Gorkancame and showed me things he had carried out including cleaning of whole lot (our family graves) and repairing grave of my grandfather. I reminded him of what still needed to be done. His counterpart/helper spoke out in the middle “Bhai jaan mai apko theak batata hoon, yeh Qabristan ka purana hissa hai aur yahan iswaqt khara hona theak nahee hai; lutairay kisi bhee waqt ajate hai aur paise mobile wagaira cheen lete hai; so better we should talk outside this area”. So we quickly went away to discuss the remaining work in a much safer area. And rightly so I am often told by my family “We are not going to Graveyard these days because of vibrant criminal activity there”. 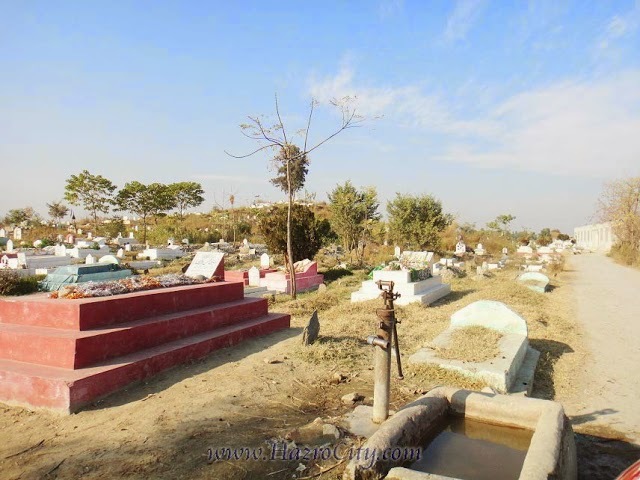 It’s really painful to see such condition that these places are now been governed by criminals and who can loot you while you are there to visit graves of your dear and near ones. People who were a must for this world once, who kept themselves neat and clean, pious women; all of them now resting in graveyards catering all sorts of odd activities. Aaaah! Apart from above; we have witnessed businesses of jaali pirs and their activities surrounding these graveyards. TV shows have often exposed such elements and their illogical and heinous activities by which they capture/destroy innocent people. People use the graveyards to doTaaveez dhaagay and Jadoo Tona which is clearly a sign of bad belief and diversion from the Islamic teachings. We also see rounders and addicted people using graveyards as places ofpeaceful activities. This is clearly an alarming situation and people should start thinking upon a social turnaround; we can at least get lesson from civilized nations who are keeping their graveyards up to the mark. Government surely will not think about this; they have other important things to do like preparing their next generations to rule us in future… I am just wondering if social welfare organizations may take an initiative to keep up graveyards. If famous companies can adopt roundabouts/signals for their publicity; why can not they provide some funds for graveyards as their social responsibility? Can media take some time out to address these issues and spread social awareness? If not, we can make small individual family groups for take care of small bits of our family graves. This will encourage other people to realize their responsibilities. Remember death can reach us anytime, anywhere and at any age. Will you like to be surrounded by all above mess? It’s a NO from my side; what do you say??? Lack of trust, things to do! Recently we made the top in polio spreading nations with over 200 cases for the first time in a decade; leading the other two countries namely Afghanistan and Nigeria. The atomic power well above two war ledge failed states, isn’t this amazing? Cursing started from all corners for the negligence and poor health condition in Pakistan. It’s a real pity while you see the global media news about failure of Pakistan to eradicate Polio and thus becoming biggest responsible country for spreading this threat. Before that, in response to warnings issued by WHO, Special measures were taken by Government of Pakistan which included establishing mandatory immunization counters on all airports, border crossings and seaports for all travelers(staying for more than 4 weeks). After polio campaigns for many years, we are still short of getting rid of Polio and our roses keep on fading away. Here, the main question is that, who is responsible for all this and how to come out of this situation? 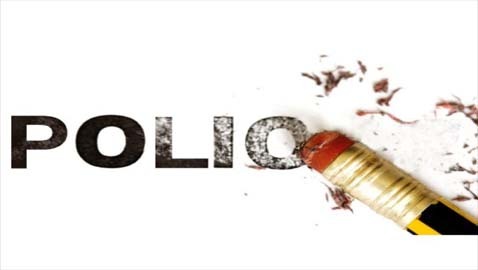 The growth of the polio problem is mainly linked with the presence of militants in the country’s northeast and the deterioration of the country’s internal security situation in general. This mainly includes restraining the parents from immunizing their children and killing of Polio staff all over the country. Every now and then these Polio workers are targeted and killed which gives a huge loss to their families and also get the brakes on this campaign with an infused fear within relevant staff. Apart from this, I would like to talk about lack of trust between government and public and need to bridge this gap in light of my experiences. My first cousin was infected with polio and expired just last year. He carried the suffering for almost 30 years and was unable to walk or talk. It was a real pain to witness twinge and exam which his immediate family carried for so many years. Especially his mother (my aunt) carried huge gaps in life while taking care of her child. Another case I saw one of my colleagues who was infected with Polio. Although his suffering is par less than my cousin as he is able to do almost everything despite of an irregular body growth and irregular fingers. He still caries himself with all the energy and passion to progress in his career but surely missed an even space in society. Surely, one can not wish this sort of things happening to anybody else in the world. Lack of trust is another key factor while falling short of Polio and health targets. There is a very strong perspective against the government in Pakistan whenever such campaign is started. We have seen this in past whether it is Iodine Mila Namak or in case of family planning Sabz Sitara movement. “Surely there must be something wrong in it as these vaccines/formulas are coming from outside the country (our enemies); they want to induce low-fertility and infect us/our generations to come with the help of our own government” all of us must have countered this sort of thoughts somehow when people see their own government as a threat. No doubt, the government is short of gaining trust of its citizens who see a conspiracy in each step be it meant to be taken for their welfare; resultantly many people does not co-operate in such campaigns. Let’s try to search some reasons for this lack of confidence. We keep on listening news regarding existence of expired/outdated vaccines OR vaccines which were not kept at the desired temperatures especially in the less privileged areas. Ignorance and lack of knowledge also leads to doubts where such campaigns and started in a hush without educating the masses. Such things and other political two-faced attitude give rise to non co-operation and lack of trust between people and government.